A partial shutdown of the Federal Government began on Saturday, December 22, 2018, and impacted several Federal Agencies and millions of Americans. The U.S. Department of Housing and Urban Development (HUD) is one of the Federal Agencies impacted. The Harris County Housing Authority receives 100% of its funding from HUD to operate the Housing Choice Voucher Program (HCV). Therefore, the current Government Shutdown may impact HCHA’s ability to disburse Housing Assistance Payments (HAP) beginning March of 2019. HCHA is keenly aware of the enormous impact on our Landlords and the vulnerable client population we serve if Housing Assistance Payments are delayed or interrupted. HCHA requests that Landlords and Property Managers work with our clients to minimize their possible displacement during this Government Shutdown. Landlords and Property Managers are prohibited from seeking payment from a resident for the Housing Authority’s portion of rent and may not use the Authority’s non-payment of HAP as a cause for eviction under the terms of the HAP contract. To that end, tenants must comply with the terms of the lease, pay the tenant portion of the rent and to work with the Landlords and Property Managers. HCHA is diligently advocating for an end to the Shutdown and the full restoration of HUD funding on or before March 1, 2019. In addition, HCHA is exploring all viable options to minimize the impact to our Landlords and families. 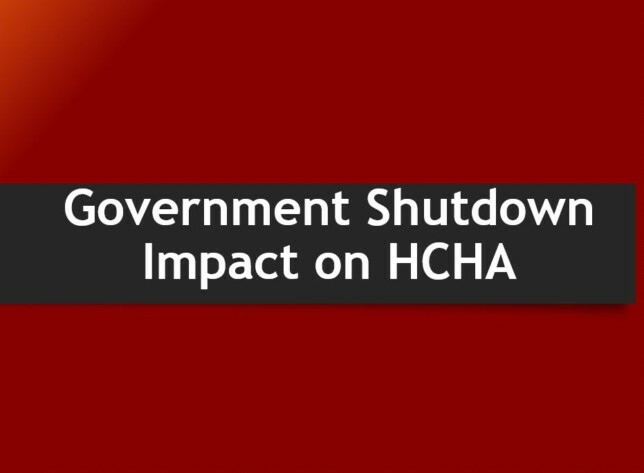 Please visit HCHA’s website at www.hchatexas.org for updated information related to the Government Shutdown and its impact on HCHA’s ability to continue the distribution of Housing Assistance Payments.